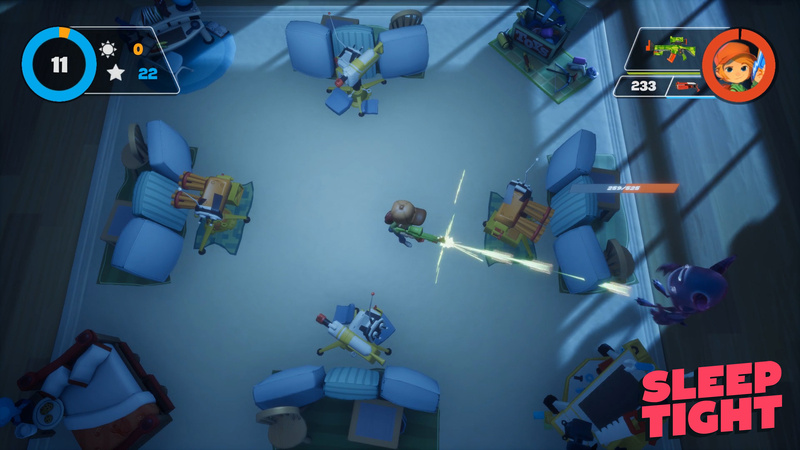 An "adrenaline pumping arcade-style, twin-stick shooter"
Indie studio We Are Fuzzy has announced that it is bringing the twin-stick shooter Sleep Tight to the Switch in Q1 2018. 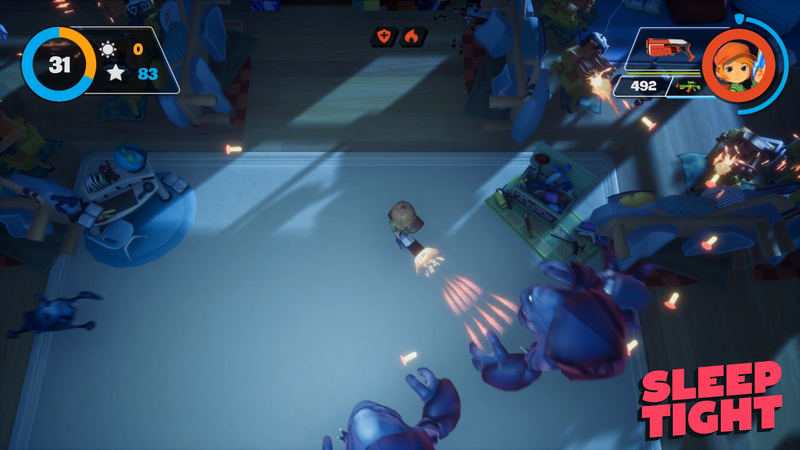 Studio co-founder Maxx Burman - whose art and visual effects credits include Far Cry 5, League of Legends, Call of Duty, Destiny, Westwood and Titanfall - has assembled a team of "AAA and Hollywood" veterans which includes Disney artists who have worked on the likes of Big Hero 6 and Wreck It Ralph. 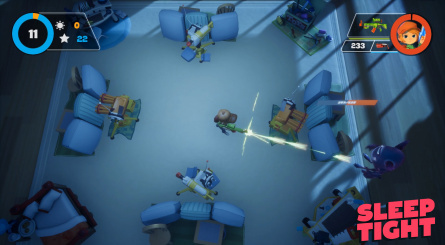 Sleep Tight is described as an "adrenaline pumping arcade-style, twin-stick shooter with base-building elements" and seeks to emulate the "charming" world of Pixar movies. 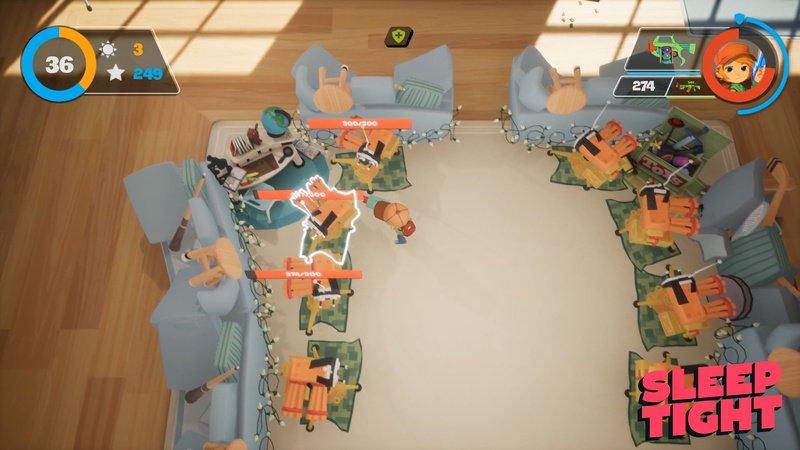 In the game, you assume the role of a child who spends the day building pillow forts in preparation for the incoming flood of monsters that appears when the lights go out. Weapons include foam dart-guns, water balloon launchers and other toys. You'll be able to upgrade these weapons to unlock new skills. Since I was a kid, I always wanted to make games. After 10 years of working on other people's projects, it was time to make my own, and I wanted to go back to that feeling of pure play. I feel fortunate to work with such talented artists to bring this Pixar-esque world to life. I think it's an experience that will appeal to the young at heart, no matter their age. 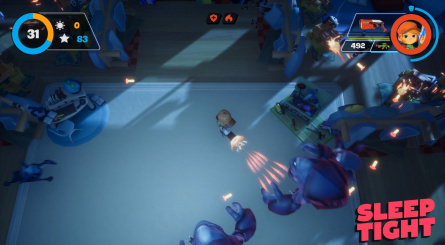 Sleep Tight is being built using Unreal Engine and is also confirmed for Steam. Interested? Let us know with a comment. It looks pretty cool. I'm interested. Interesting concept. Will add to wishlist pile. Interested, but this needs co-op. It looks fun. Great theme, and the aesthetic is very cute. That looks really cute, one of those games where you just look at it thinking - why hasn't anybody done this before? Reminds me of PixelJunk Monsters, but with a Nintendo touch. Not a huge fan of twin-stick shooters, I'm more of a tower defense guy, but this game might be able to pull off a nice balance. Of course now every time I see an indie game running on Unreal on Switch I'll be expecting the worse. Looks pretty cool, definitely keeping an eye on this one! This looks very well made! Looks alright...I'll give them support. That looks so fun! I mean, at least the setting and art style for the game. I hope it plays well. If it does, it's a definite buy for me. 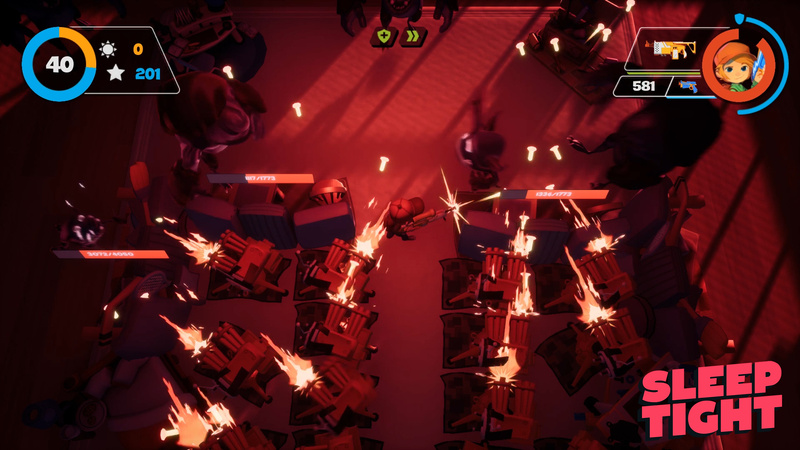 A twin stick shooter that actually looks good?! Am I dreaming? Why the heck genre like this (Shooter) still overused in games ? I Almost NEVER see A Lot of Peaceful games without Guns or Shooting or any kinds of Typical Boys games. The games that i knew so far with NO Combats / Violence / Shooting 100 % was Yonder: The Cloud Catcher Chronicles ps4. @Anti-Matter Games like Rocket League, Minecraft and Super Mario exist. Don't lose hope on the next generation. @Anti-Matter Oh please, calm down. There are literally hundreds of games available that have no combat or guns. Anyways, this does look interesting another one to keep an eye on. Have always enjoyed twin stick shooters this one looks quite unique though. That animation looks wonky, but lpoks like those can be ironed out by release. While normally I dislike twin stick shooters. This has a really interesting concept I will keep an eye on it. I'm interested. Looks very charming! 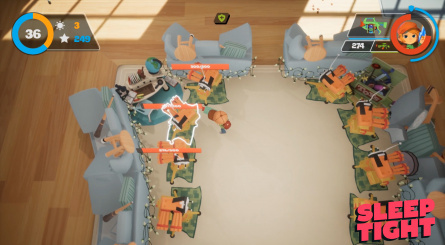 Kind of has a Zombies Ate My Neighbors style packed into a tower defense game. I'm not the biggest twin-stick shooter fan, but that's a lovely premise. Will keep an eye on it. the use of invective like "cant stand", "hate" etc and sanctions like "forbid" are a lot more disturbing than some pixel bullets. @Anti-Matter In that case, don't be surprised if your kids become way more violent than any their peers who actually play shooting games... It's cool that you don't like games with guns or violence, but forbidding (in video-games situation at least) is not a solution, but on a contrary, it's a massive step for causing more problems. This looks really good. I hope it turns out really well. Love the aesthetics. Adding co-op (or better yet, 4-player co-op) would sell me on this game. Looks promising. Perhaps a little dark.. but it is at night . I like the choice of consoles! Doesn't look bad, but I am not a huge fan of tower defense.